Equate Liquid Hand Soap has a refreshing cucumber melon scent that leaves your hands feeling clean and smelling great. Our liquid hand soap contains moisturizers and is gentle on your skin, making it perfect for the entire family. It is dermatologist tested, and meets US EPA safer product standards. This liquid hand soap comes in a large 56 oz bottle which is perfect for refilling smaller pump dispenser bottles in your washroom or kitchen. The fragrance will be a household favorite. Keep your hands refreshed and clean with Equate Cucumber Melon Liquid Hand Soap.Making the right health decisions can be challenging. With a complete range of products and simple solutions, Equate allows you to take care of your family with confidence. EPA/Safer Choice recognition does not constitute endorsement of this product. The Safer Choice label signifies that the productâs formula, as Walmart has represented it to the EPA, contains ingredients with more positive human health and environmental characteristics than conventional products of the same type. EPA/Safer Choice relies solely on Walmart, its integrity and good faith, for information on the productâs composition, ingredients and attributes. EPA/Safer Choice has not independently identified, that is, via chemical analysis, the ingredients in the product formula, nor evaluated any of Walmart non-ingredient claims. EPA/Safer Choice provides its evaluation only as to the productâs human health and environmental characteristics, as specified in the Safer Choice Standard and based on currently available information and scientific understanding. EPA/Safer Choice recognition does not constitute endorsement of this product. The Safer Choice label signifies that the productâs formula, as Walmart has represented it to the EPA, contains ingredients with more positive human health and environmental characteristics than conventional products of the same type. EPA/Safer Choice relies solely on Walmart, its integrity and good faith, for information on the productâs composition, ingredients and attributes. EPA/Safer Choice has not independently identified, that is, via chemical analysis, the ingredients in the product formula, nor evaluated any of Walmart non-ingredient claims. EPA/Safer Choice provides its evaluation only as to the productâs human health and environmental characteristics, as specified in the Safer Choice Standard and based on currently available information and scientific understanding. Stock up with a 3 pack of Mrs. Meyer's Clean Day Liquid Hand Soap, Lavender, 12.5 Oz! Stock up with hand wash essentials for your home and bathroom at Walmart.com. Equate Liquid Hand Soap has a refreshing coconut ginger scent that leaves your hands feeling clean and smelling great. Our liquid hand soap contains moisturizers and is gentle on your skin, making it perfect for the entire family. It is dermatologist tested, meets US EPA safer product standards and is paraben, triclosan, and phthalate free. This liquid hand soap comes in a large 56 oz bottle which is perfect for refilling smaller pump dispenser bottles in your washroom or kitchen. The warm, zesty fragrance will be a household favorite. Keep your hands refreshed and clean with Equate Coconut Ginger Liquid Hand Soap.Making the right health decisions can be challenging. With a complete range of products and simple solutions, Equate allows you to take care of your family with confidence. EPA/Safer Choice recognition does not constitute endorsement of this product. The Safer Choice label signifies that the productâs formula, as Walmart has represented it to the EPA, contains ingredients with more positive human health and environmental characteristics than conventional products of the same type. EPA/Safer Choice relies solely on Walmart, its integrity and good faith, for information on the productâs composition, ingredients and attributes. EPA/Safer Choice has not independently identified, that is, via chemical analysis, the ingredients in the product formula, nor evaluated any of Walmart non-ingredient claims. EPA/Safer Choice provides its evaluation only as to the productâs human health and environmental characteristics, as specified in the Safer Choice Standard and based on currently available information and scientific understanding. EPA/Safer Choice recognition does not constitute endorsement of this product. The Safer Choice label signifies that the productâs formula, as Walmart has represented it to the EPA, contains ingredients with more positive human health and environmental characteristics than conventional products of the same type. EPA/Safer Choice relies solely on Walmart, its integrity and good faith, for information on the productâs composition, ingredients and attributes. EPA/Safer Choice has not independently identified, that is, via chemical analysis, the ingredients in the product formula, nor evaluated any of Walmart non-ingredient claims. EPA/Safer Choice provides its evaluation only as to the productâs human health and environmental characteristics, as specified in the Safer Choice Standard and based on currently available information and scientific understanding. Experience a bright, uplifting twist of pomegranate and mango. This unique formula is designed to awaken the senses as you treat your hands to an unforgettable hand washing experience. Trust the clean. Wow your senses. Bring home the scent of the tropics with every bottle of Equate Mango & Coconut Water Liquid Hand Soap. 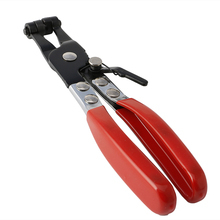 This is a must-have for anyone who wants to add a little luxury to their everyday routine. This soft, silky hand soap is perfect for any kitchen or bath, or anywhere you need to clean up. Each container is kissed with the gentle, comforting scent of tropical mango fruit and cool, clean coconut. Our soap is dermatologist-tested and free of preservatives and plasticizers like paraben, triclosan, and phthalate, so you know you are in good hands. This 56fl oz container contains more than 800 pumps and is perfect for refilling soap dispensers anywhere in the house. Give your hands and your senses a tropical experience with Equate Mango & Coconut Water Liquid Hand Soap today. HAND SOAP: Soothing aloe vera fragrance. HAND SOAP REFILL: Convenient 50 ounce refill size. MOISTURIZING LIQUID SOAP: Moisturizing liquid hand soap that helps retain your skin's natural moisture. DERMATOLOGIST TESTED: This hand soap is dermatologist tested and gentle on hands. 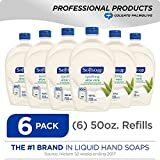 SOFTSOAP: Compare SOFTSOAP liquid hand soap to brands of foaming hand soap, organic soap, natural soap including Dr. Bronner's castile soap, Mrs. Meyer's hand soap, Dove bar soap and tea tree soap. LIQUID HAND SOAP: SOFTSOAP liquid hand soap is a great alternative to bar soap and homemade soap. USAGE NOTE: Avoid contact with eyes. In case of contact, flush with water. Give your hands the soothing experience of aloe vera that keeps your hands feeling moisturized and clean. SOFTSOAP Liquid Hand Soap, Soothing Aloe Vera, washes away dirt and bacteria for good hand hygiene. The U.S. Center for Disease Control and Prevention states that keeping hands clean is one of the most important steps we can take. It is best to wash hands with soap and clean running water for 20 seconds. Trust the clean. Wow your senses. ANTIBACTERIAL HAND SOAP: Clinically proven to eliminate 99.9% of bacteria (In a handwashing test vs. the following common harmful bacteria: S. aureus & E. coli.). LIQUID SOAP: This liquid hand soap neutralizes lingering kitchen odors. MOISTURIZING ANTIBACTERIAL SOAP: Unique formula with moisturizers leaves skin feeling soft and protected. SOFTSOAP Liquid Hand Soap, Kitchen Fresh Hands, washes away dirt and bacteria. This unique antibacterial liquid hand soap formula contains moisturizes and gently cleans and protects, leaving your skin feeling soft and protected. It is clinically proven to eliminate 99.9% of bacteria. (In a handwashing test vs. the following common harmful bacteria: s. Aureus & E. coli). 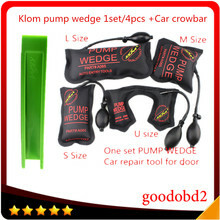 Due to its unique formula, the pump should only be refilled with SOFTSOAP antibacterial liquid hand soap. Stock up with a 3 pack of Everyone Spearmint & Lemongrass Hand Soap, Triclosan-Free, 12.75 Oz! Stock up with hand wash essentials for your home and bathroom at Walmart.com. Wash away the germs and feel the softness with these Softsoap Hand Soap Refills. They gently remove dirt and germs from your hands and contain light moisturizers to help leave your hands feeling soft. With a pleasant smell, these germ-removing and moisturizing hand soap refills are ideal for daily use. They each come in a 56oz easy grip recyclable bottle that is good for 800 or more dispenses. Trust the clean and wow your senses with Softsoap. Hand Soap Refill, Moisturizing, Soothing Aloe VeraWowerful. Trust the clean. Wow your senses. Give your hands the soothing experience of aloe vera that keeps your hands feeling moisturized and clean. Recyclable bottle. SOFTSOAP: The #1 brand in liquid hand soap. This orange hand soap refill has a crisp clean scent. Dermatologist tested, gentle formula. 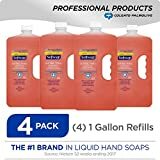 HAND SOAP REFILL: Pack of 4, 1 gallon liquid hand soap refill packages. ANTIBACTERIAL HAND SOAP: Clinically proven to eliminate 99.9% of bacteria (In a handwashing test vs. the following common harmful bacteria: s. Aureus & E. coli). 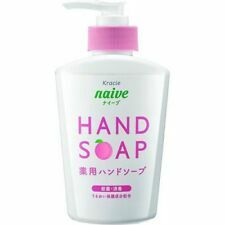 MOISTURIZING HAND SOAP: Unique formula with moisturizers leaves skin feeling soft and protected. Gently cleanses without leaving hands feeling dry. SOFTSOAP ANTIBACTERIAL SOAP: A great alternative to other foaming hand soaps, natural soap, soap bars, castile soap, organic soap, body wash, mens soap, as well as products from Aveeno, Dove and Dr. Bronner's. 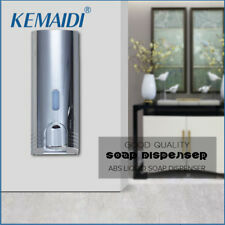 ANTISEPTIC HAND SOAP: Offers strong antibacterial protection. Compare to Purell hand sanitizer pumps. HAND WASH: Meets healthcare handwashing standards. Colgate-Palmolive crisp clean antibacterial liquid hand soap. 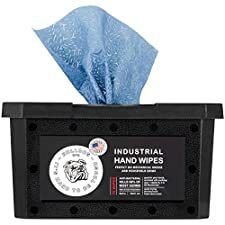 Clinically proven to eliminate 99 percent of germs. Antibacterial protection. Light moisturizers help keep skin feeling smooth and soft. Dermatologist-tested. Low foaming, high pH concentrated fabric and carpet cleaning solution..
Will not cause foaming issues within your extractor.. Soap will not leave carpet fibers stiff.. Detail King's Extractor Soap is one of our best car interior cleaning products, it is a low foaming, high pH, Super Concentrated fabric seating surface and carpet cleaning solution. 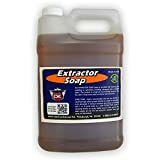 Our Automotive Extractor Soap can be used either as a traffic area cleaner or sprayed onto the surface that is to be extracted to quickly break-down dirt & grime. If you do not have an extractor you can also use this product as a low foaming scrubbing shampoo. Soap & Glory Hand Food Hand Cream4.2 oz TubeA non-greasy hand cream with shea butter, macadamia oil, and marshmallow. Scented with our Original Pink Rose & Bergamot fragrance, combining fresh bergamot, mandarin, rose, jasmine, peach, strawberry, and soft musk & amber base notes for skin that is blissfully clean and silky-soft. Hand Made Soap Melt and Pour Soap Homemade Soap Home Made Soap HUGE Variety!